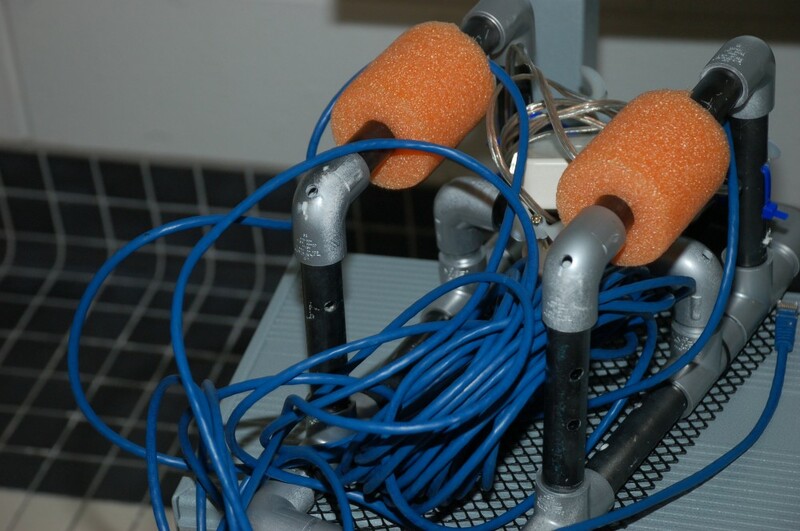 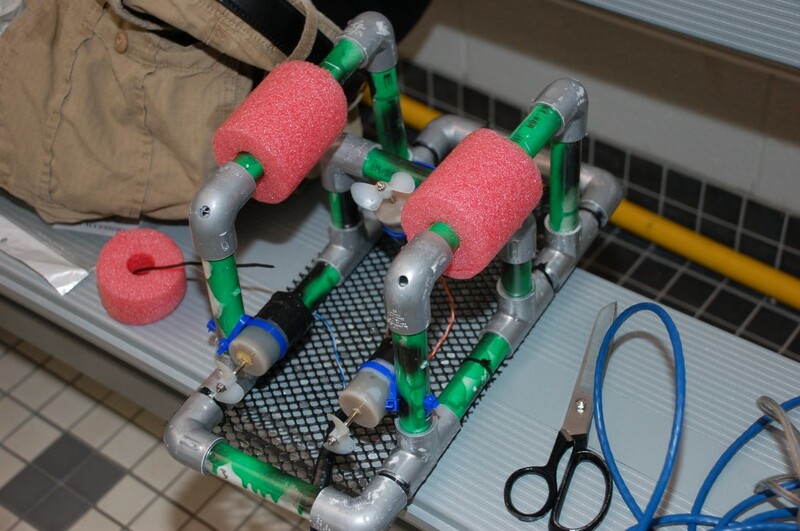 Scientific instruction is happening on a different level—an underwater one —thanks to the collaboration of STEM Genius and SeaPerch in using an innovative underwater robotics curriculum that teaches students how to build Remotely Operated Vehicles (ROVs). 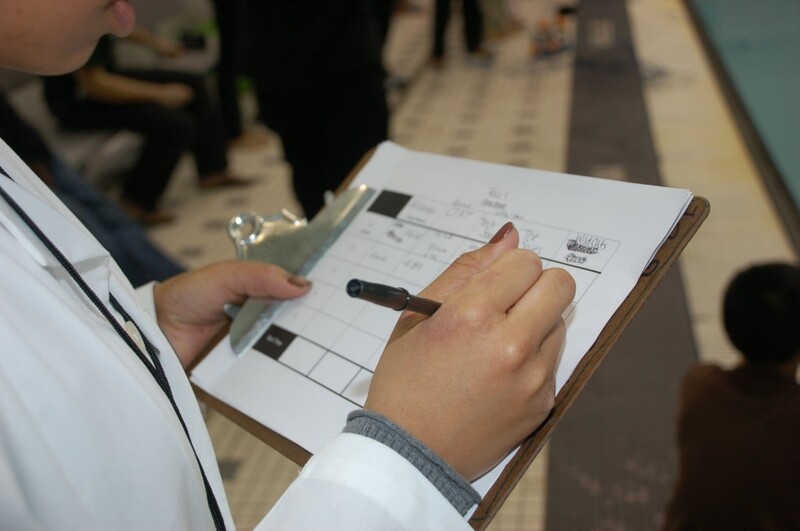 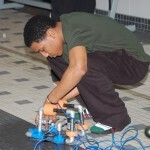 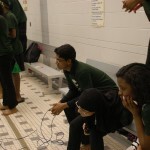 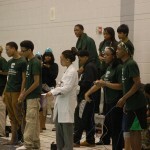 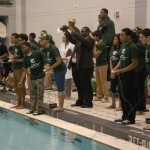 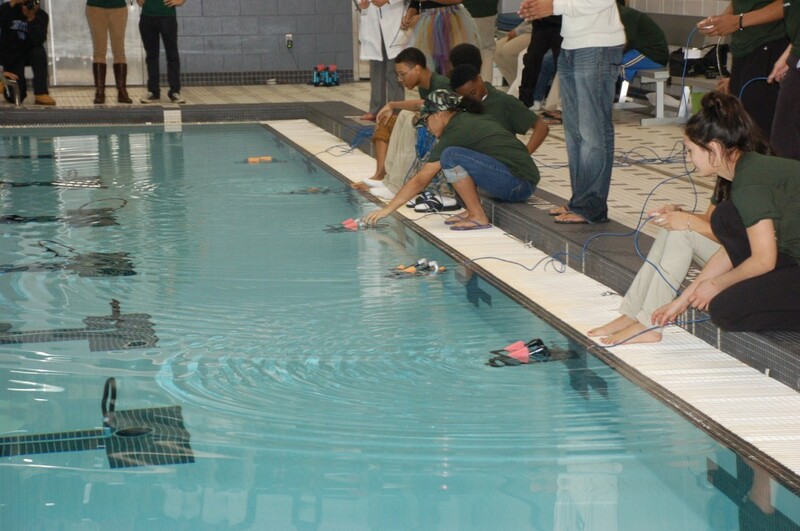 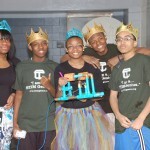 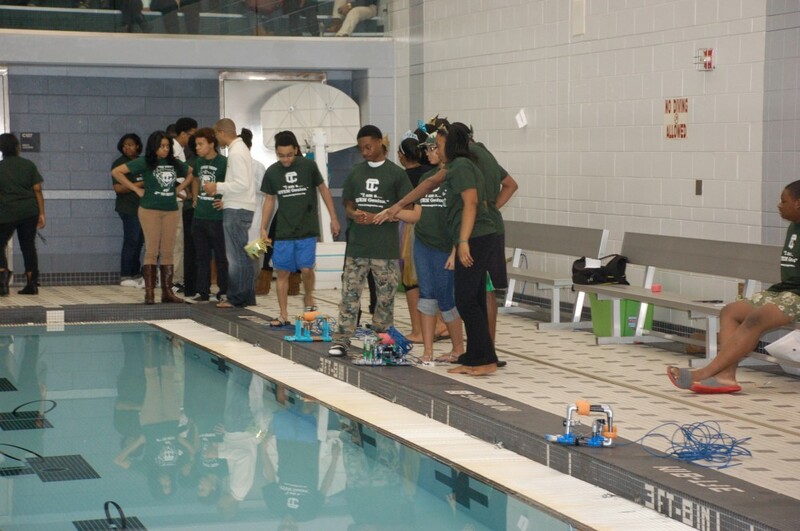 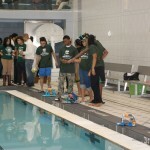 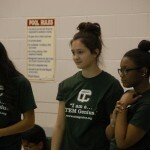 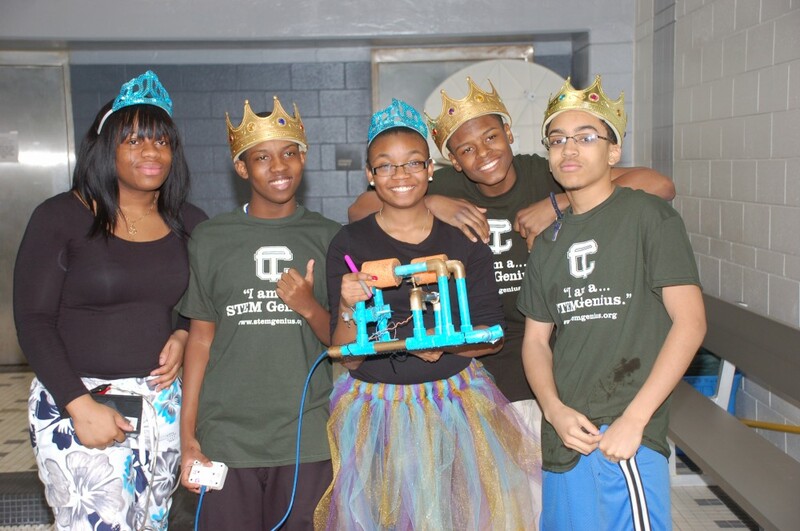 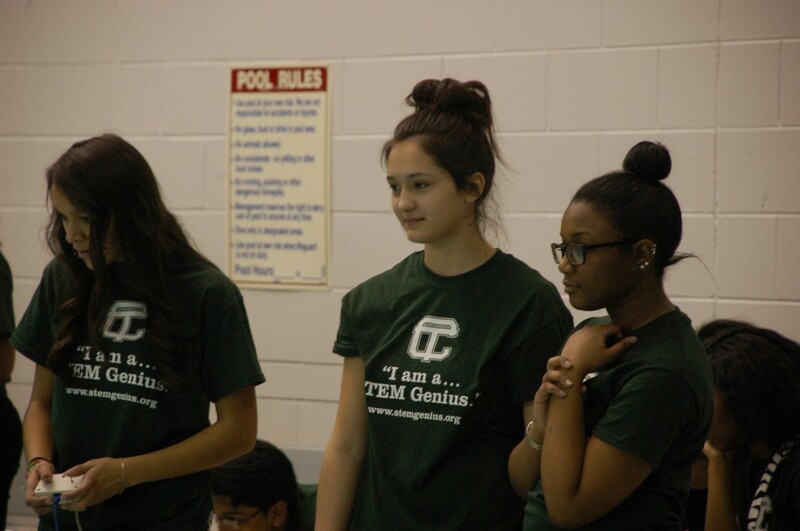 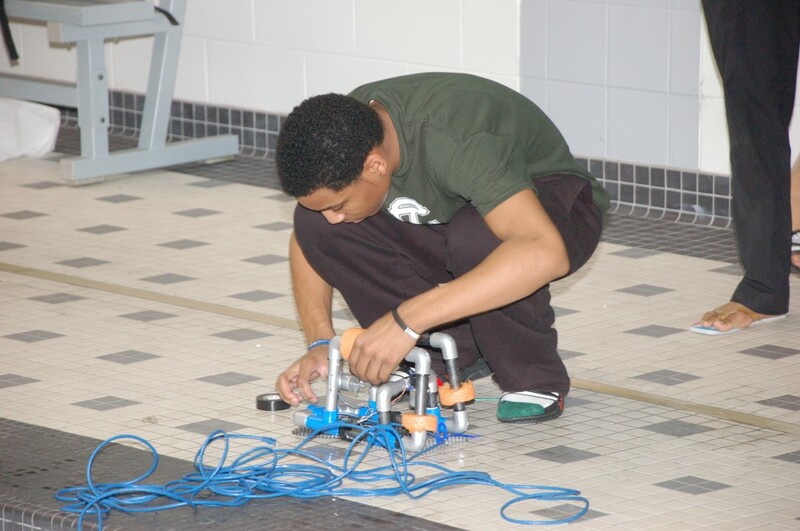 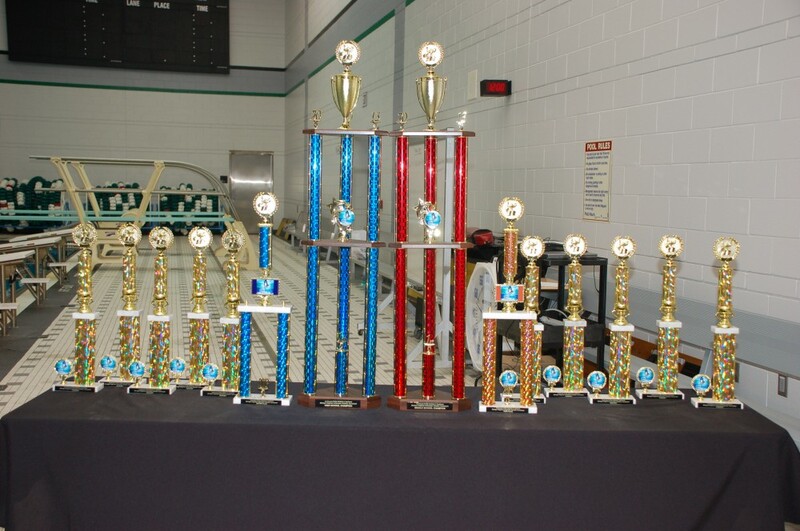 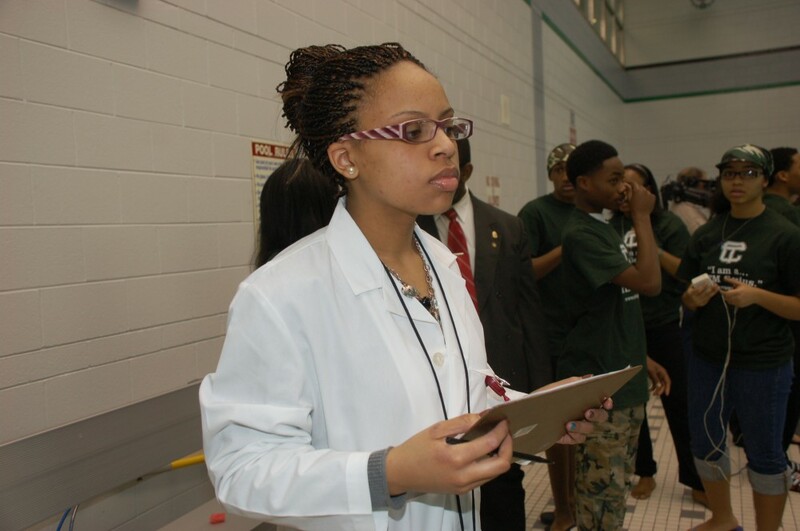 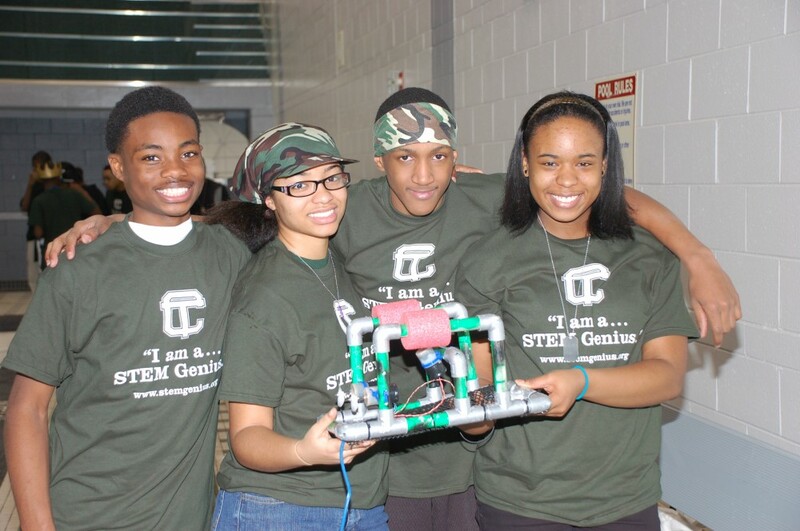 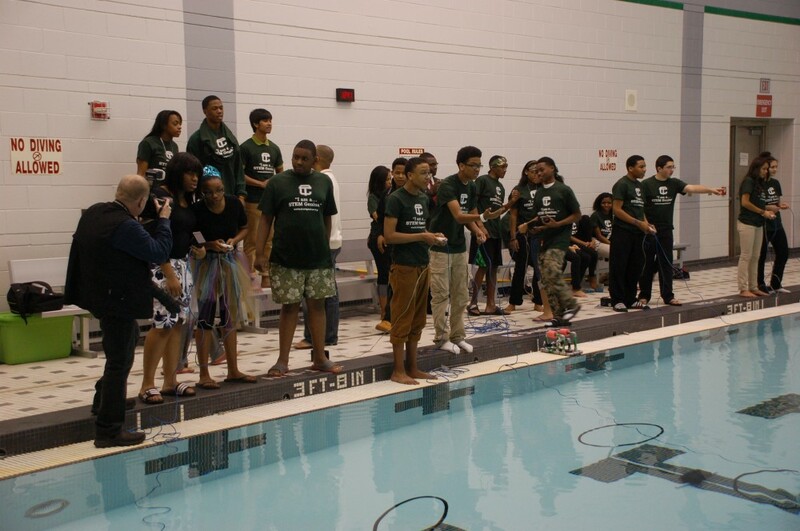 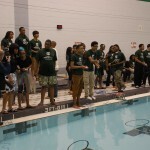 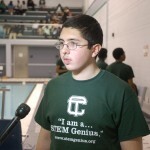 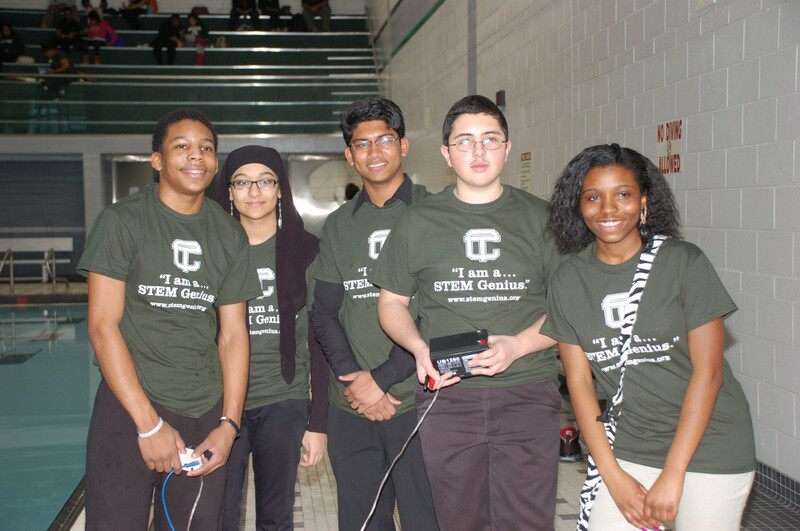 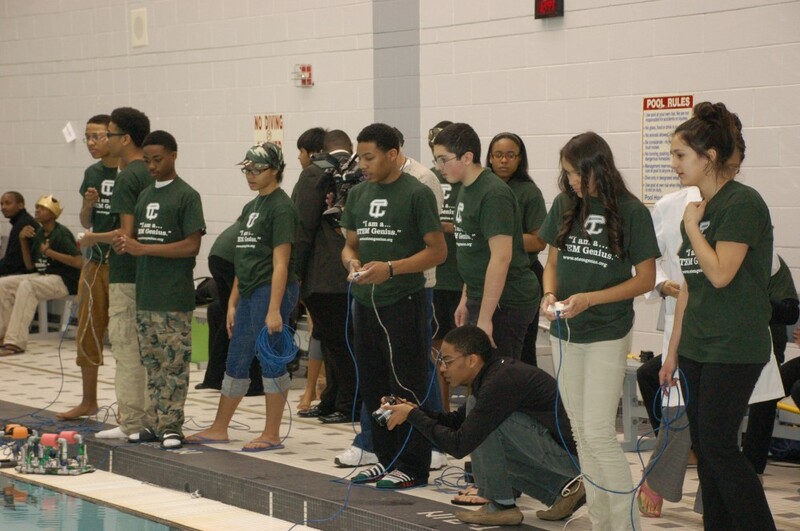 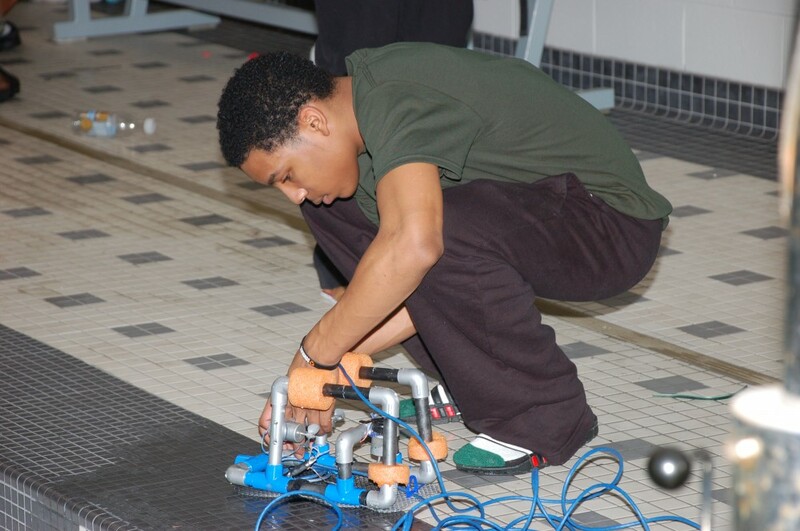 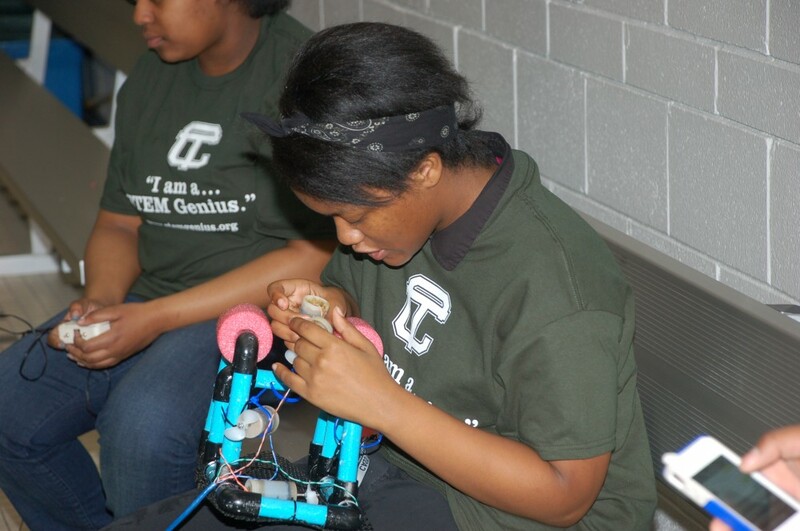 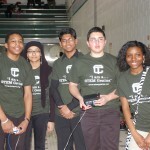 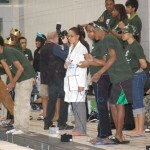 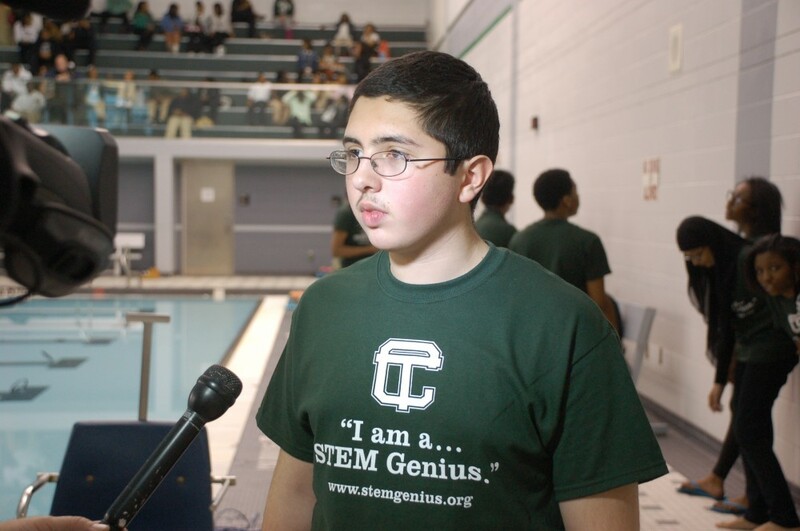 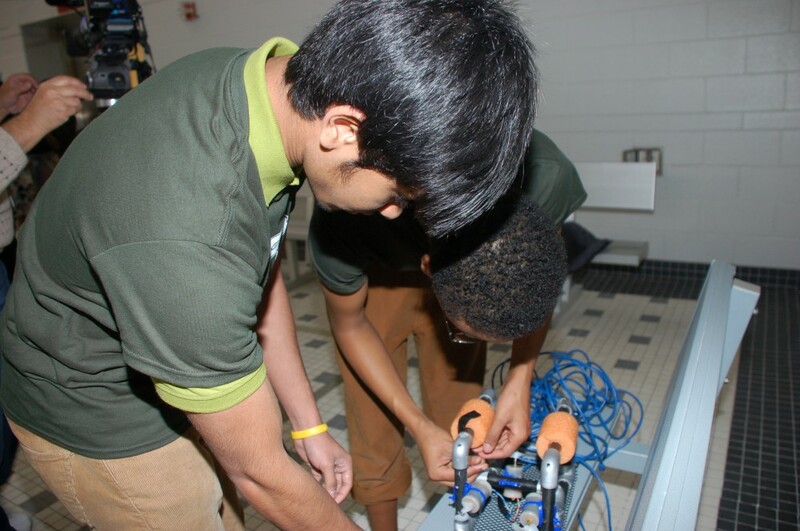 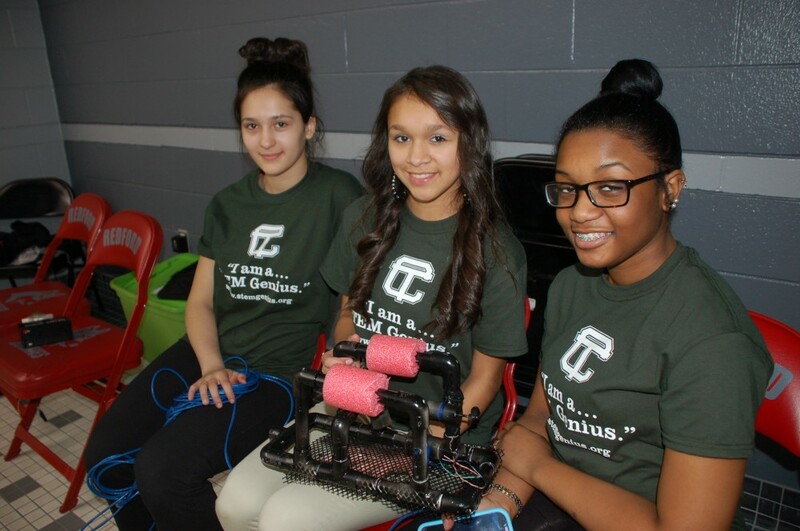 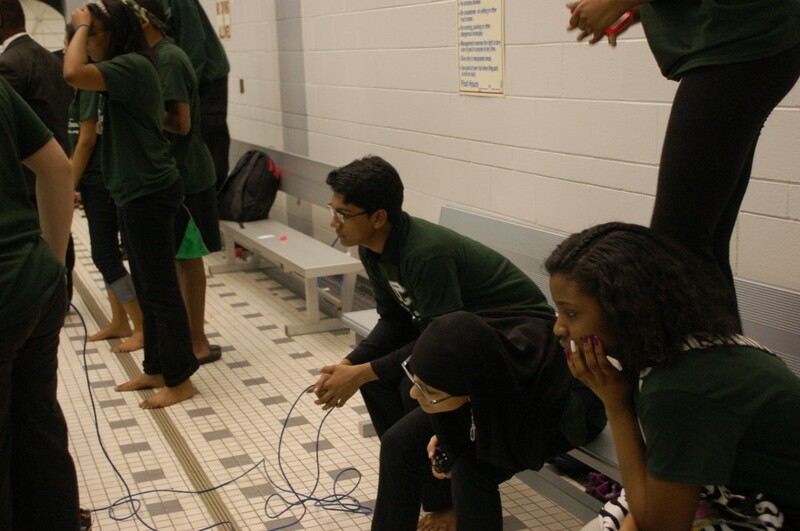 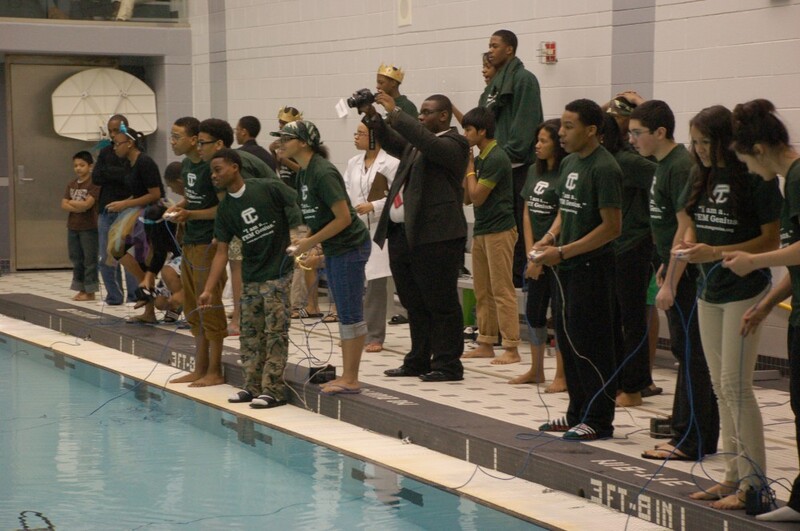 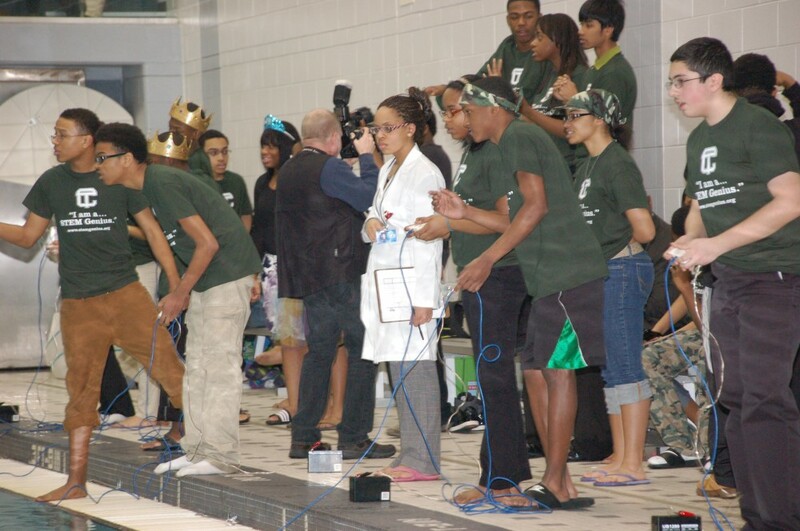 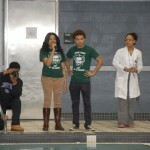 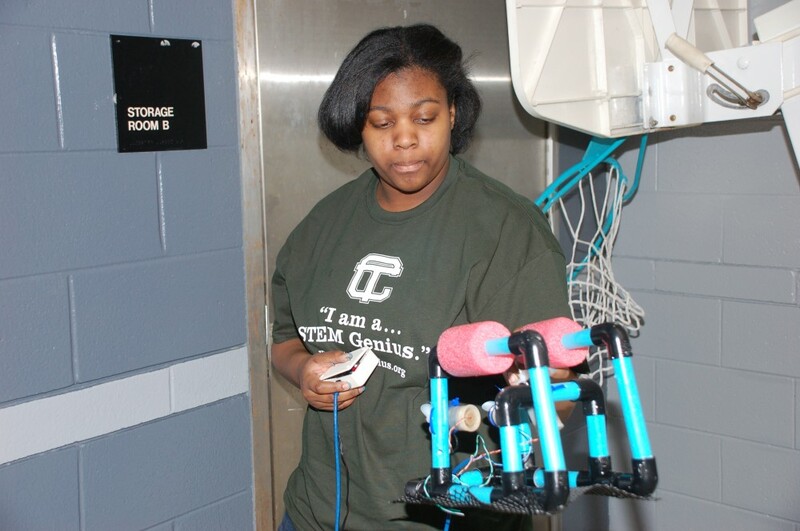 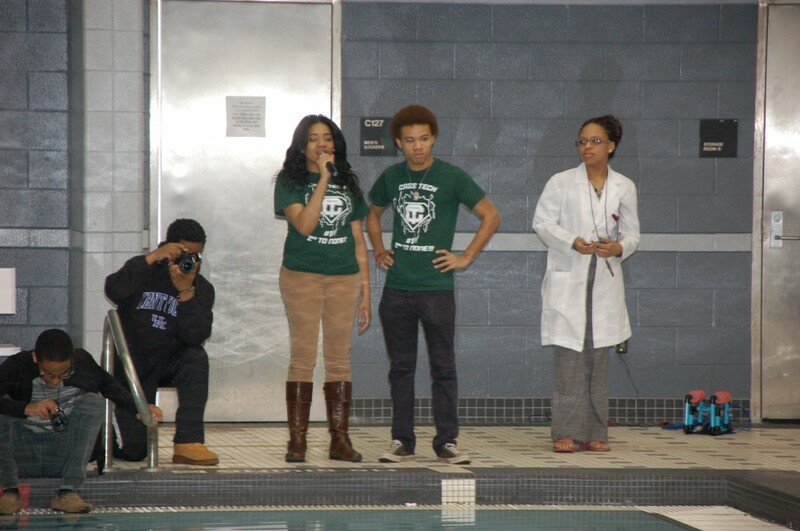 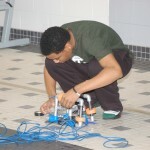 The 1st Annual STEM Genius and SeaPerch Michigan Regional Underwater Robotics Tournament was held at Cass Technical High School on March 15. 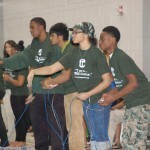 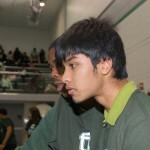 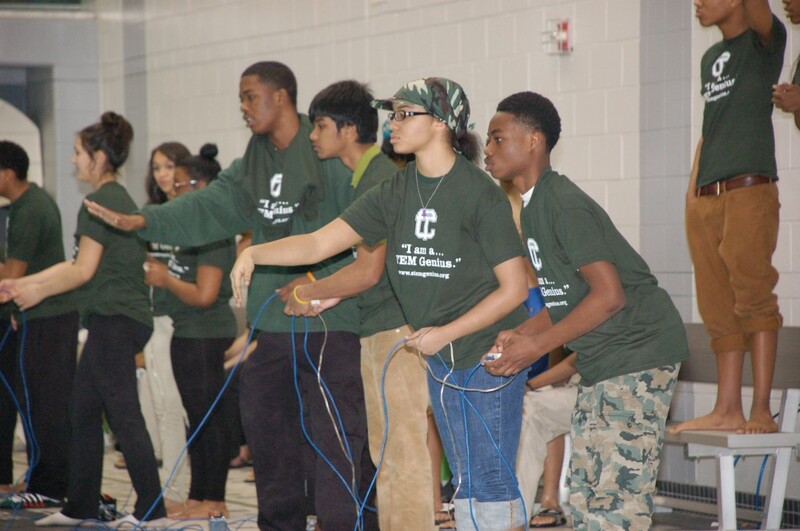 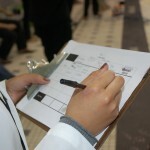 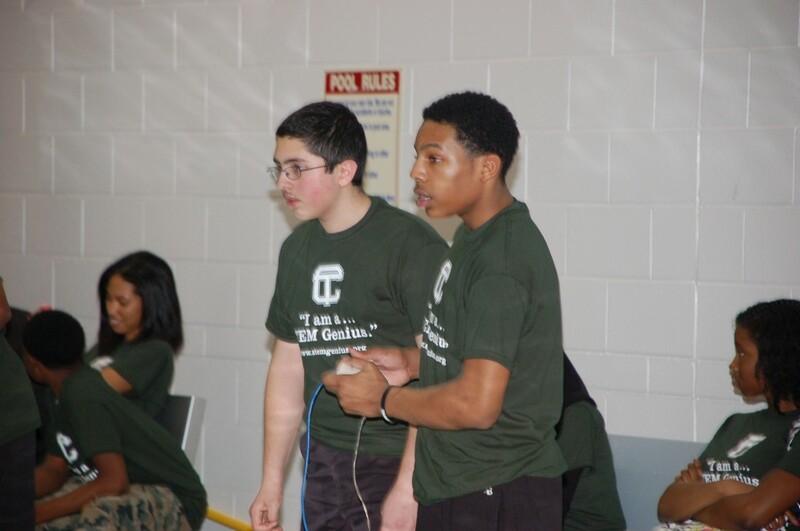 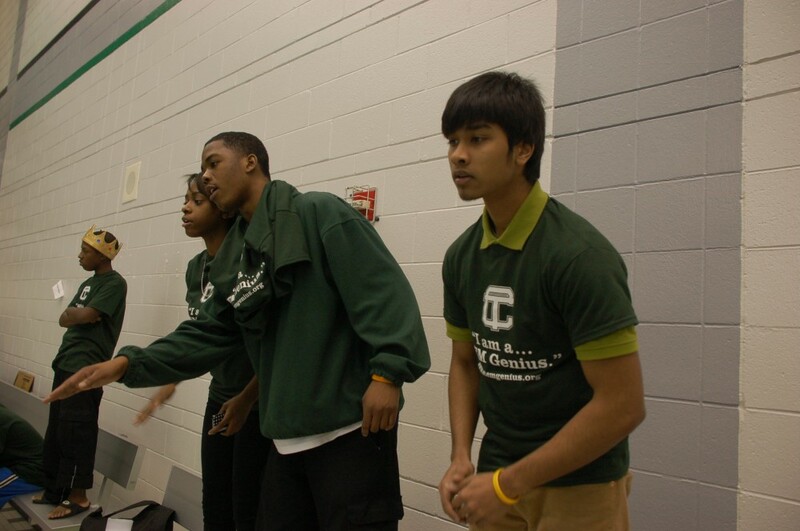 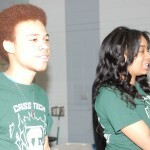 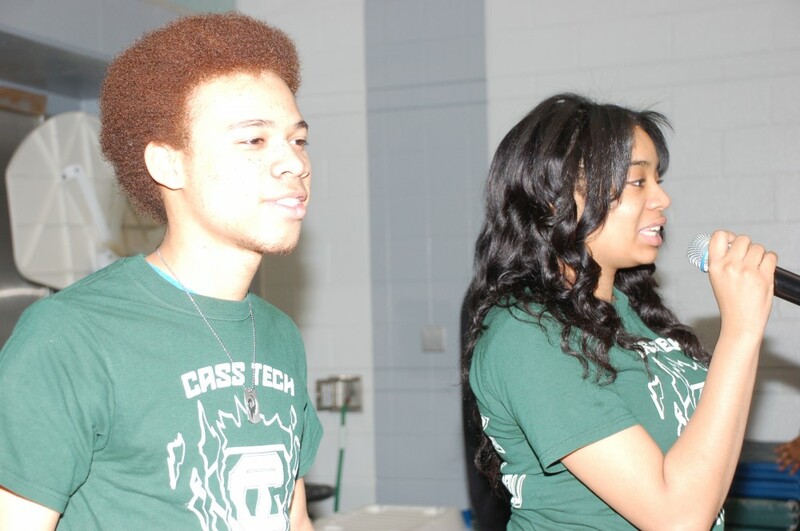 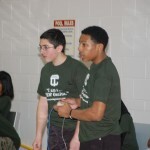 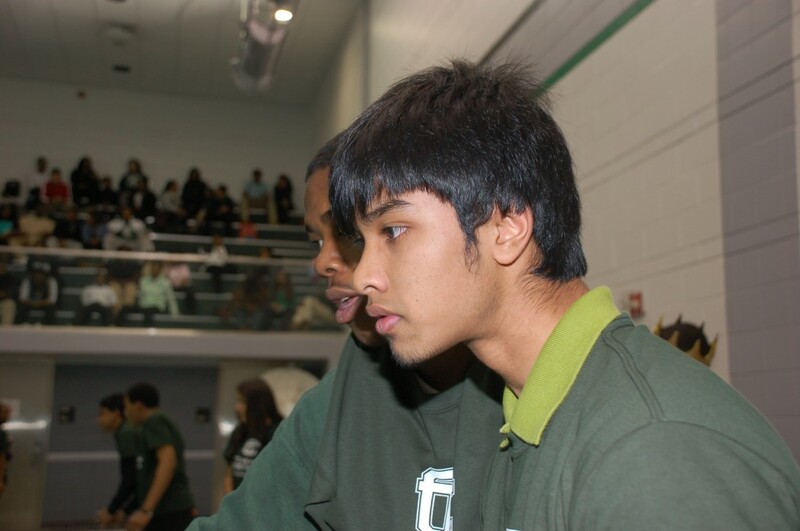 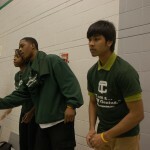 Ten teams total–nine individual Cass Tech teams and one middle school team from University Preparatory Academy–competed in the tournament featuring interactive displays and student exhibitions. 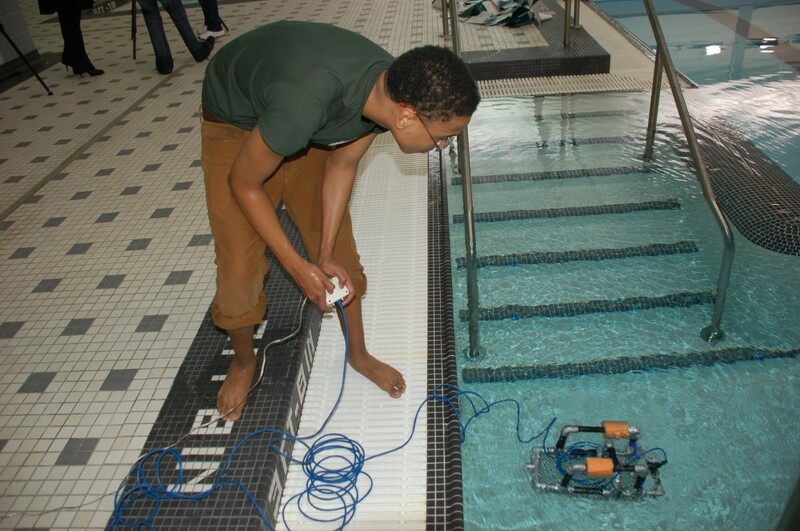 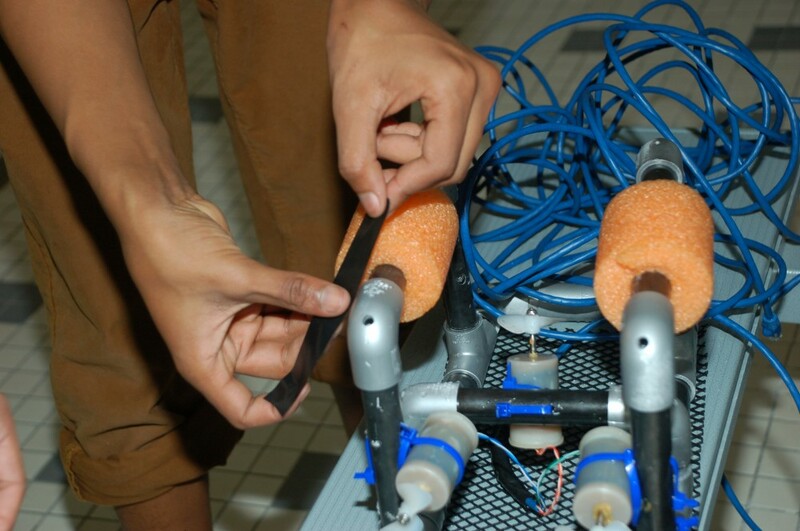 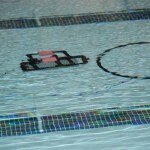 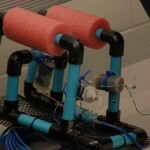 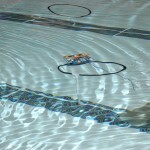 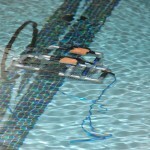 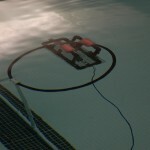 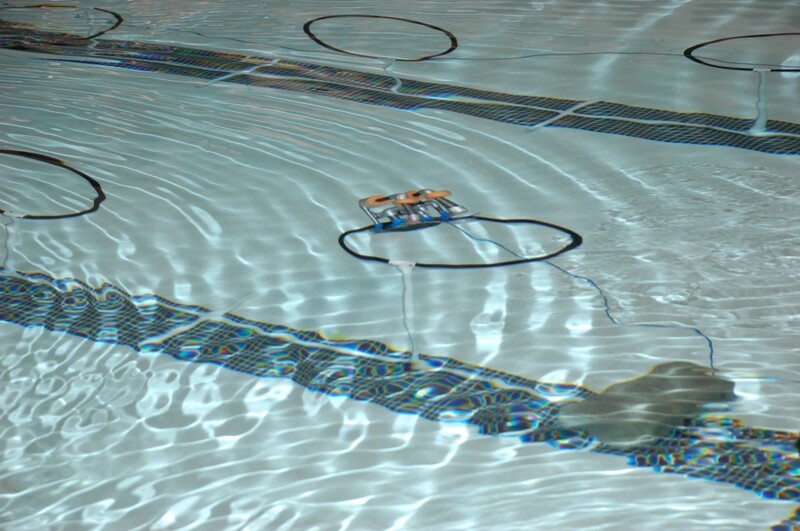 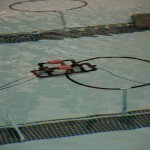 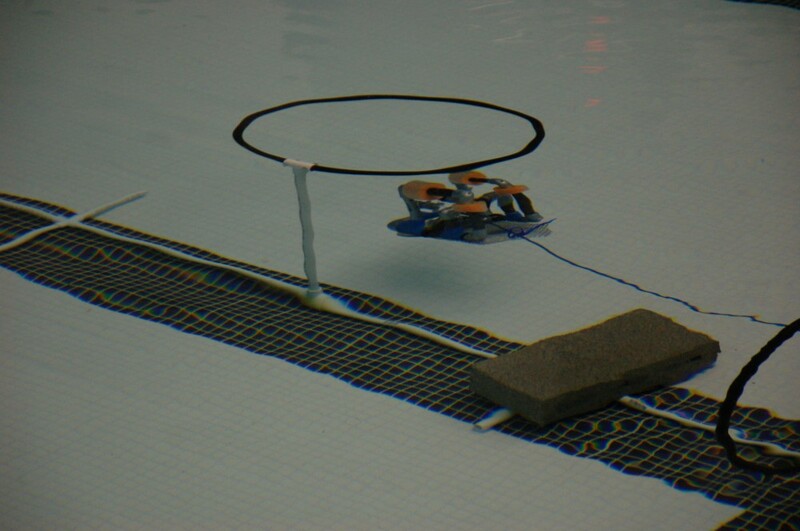 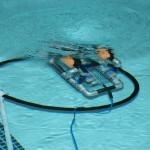 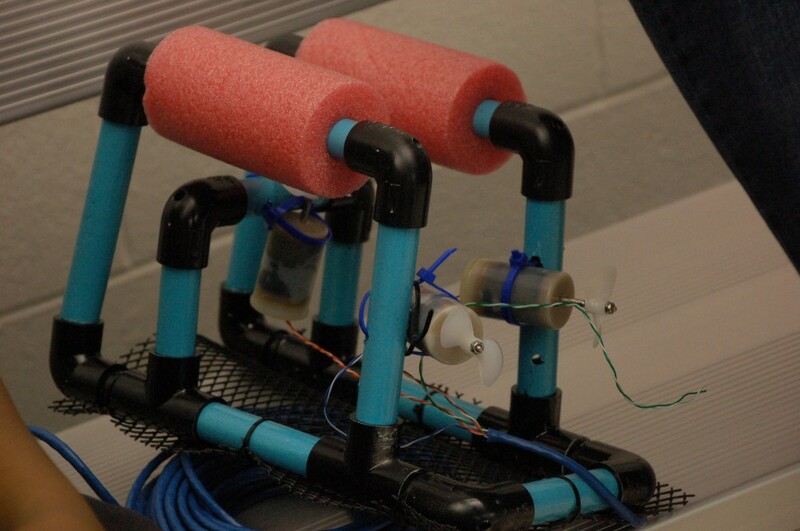 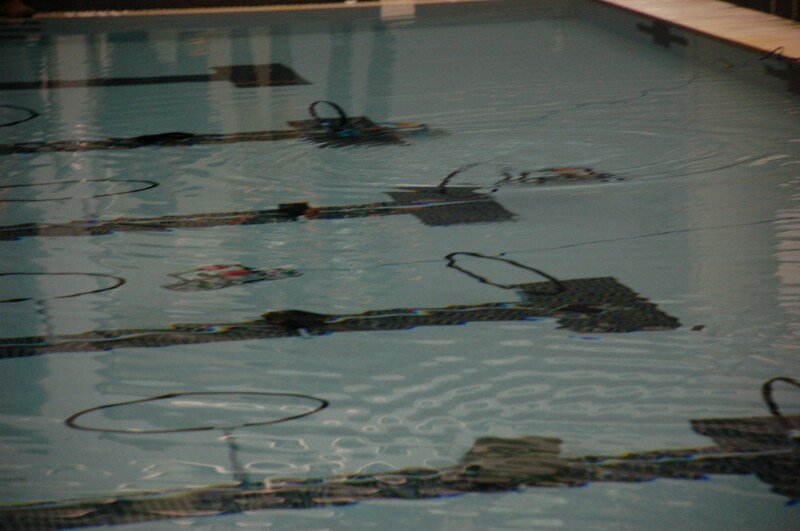 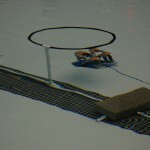 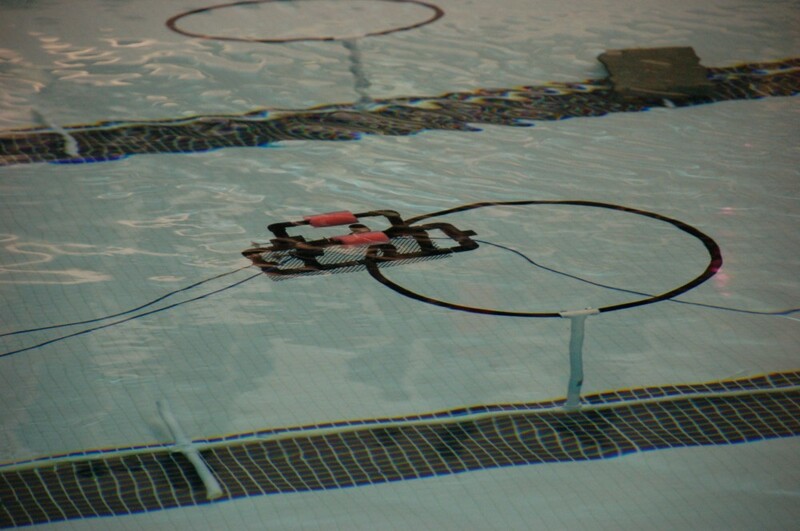 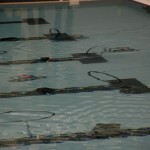 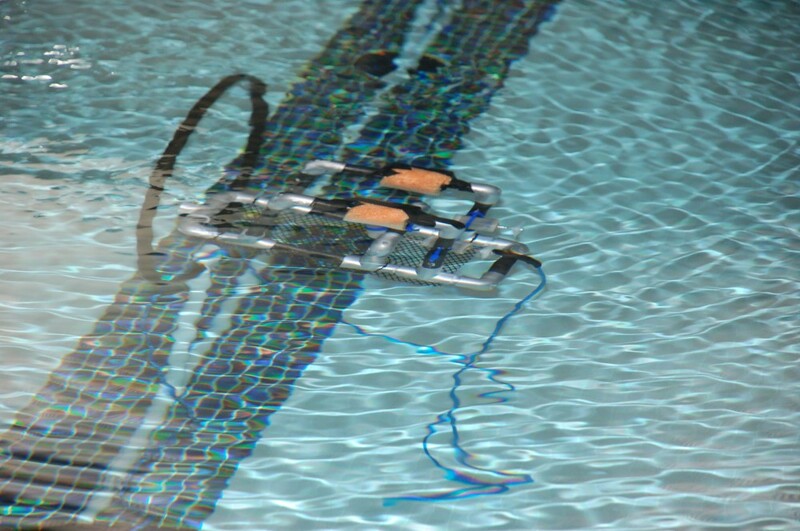 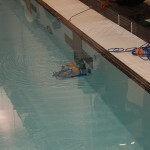 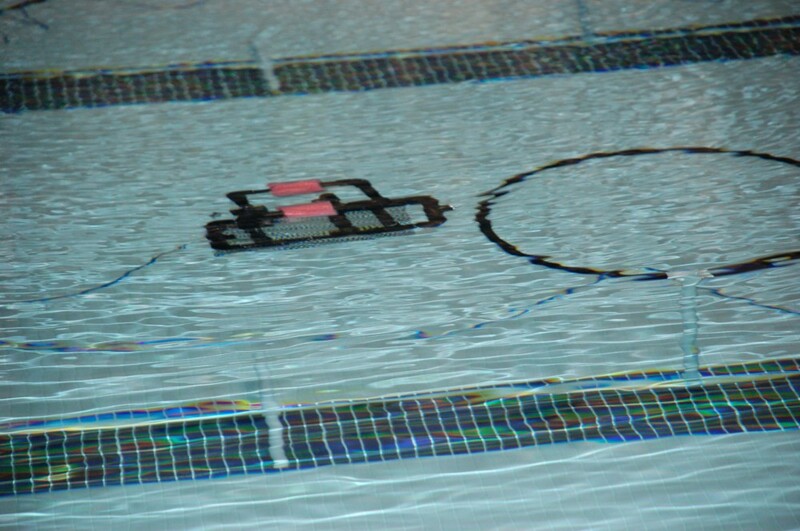 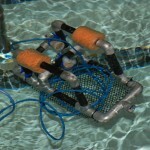 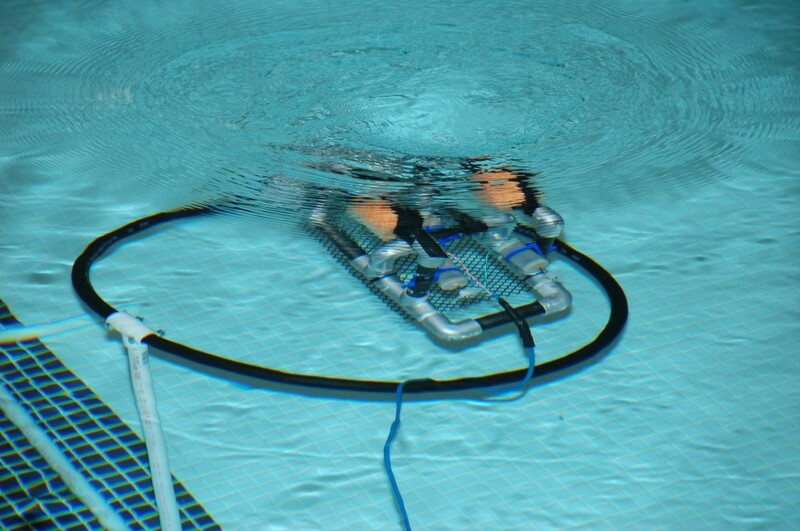 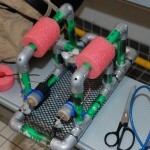 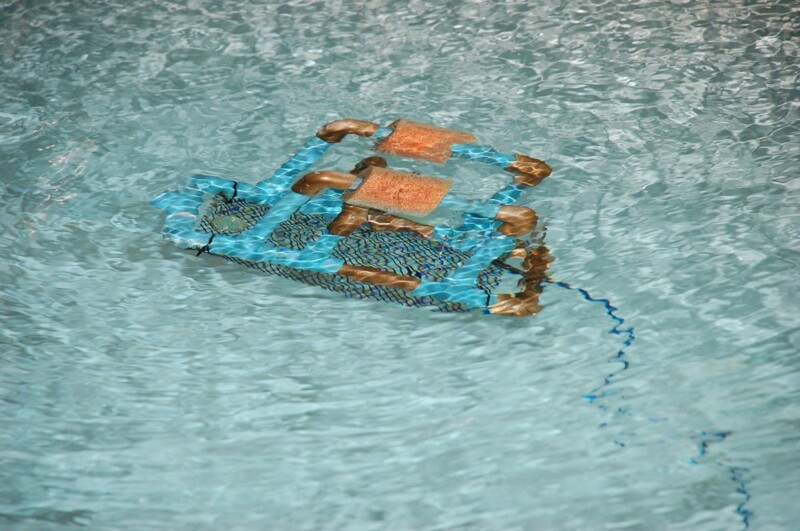 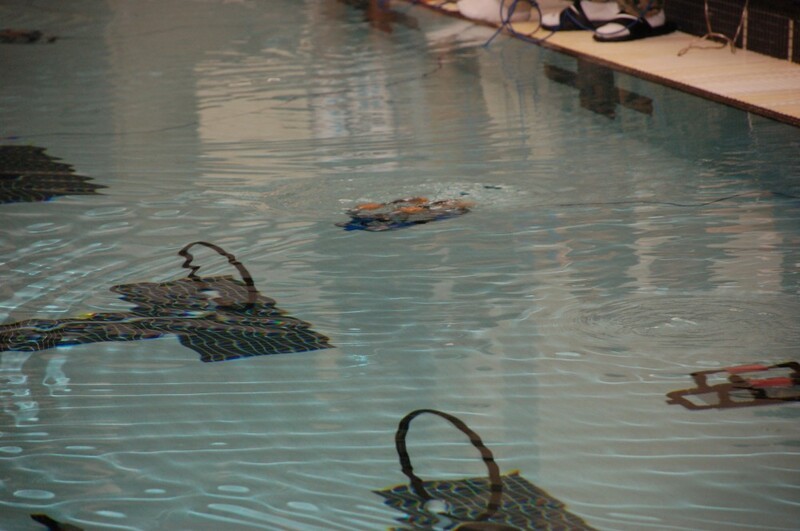 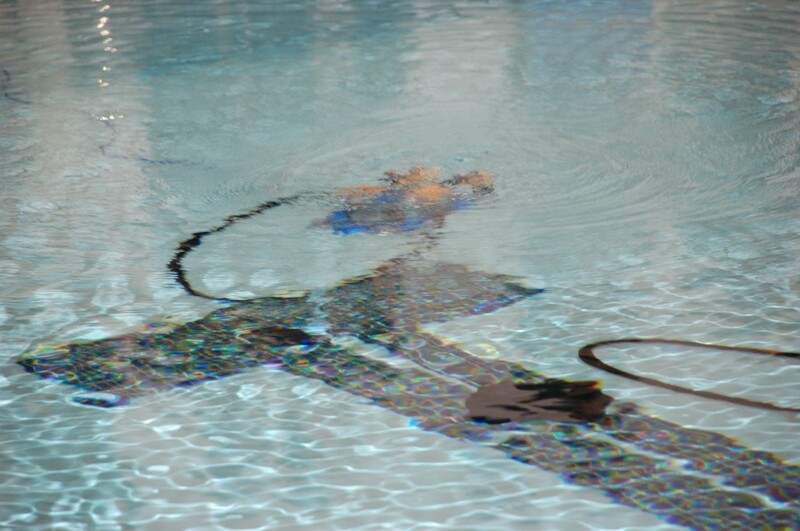 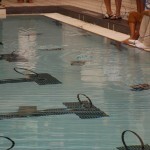 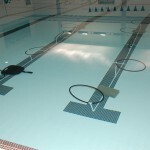 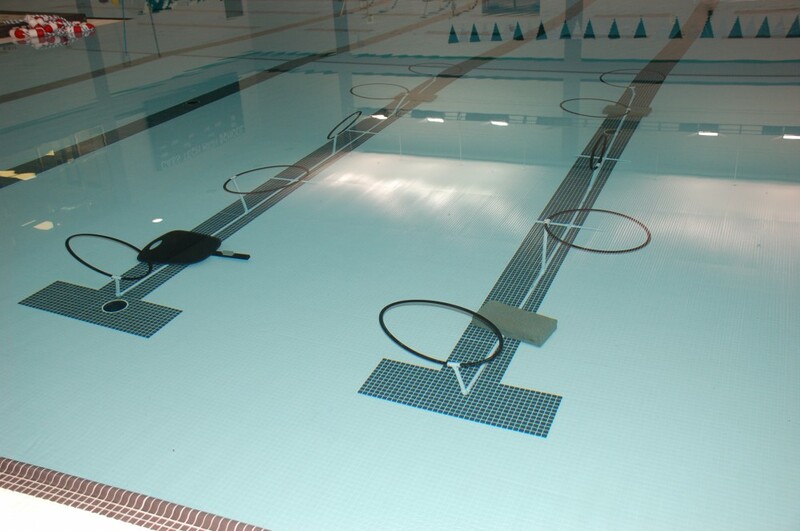 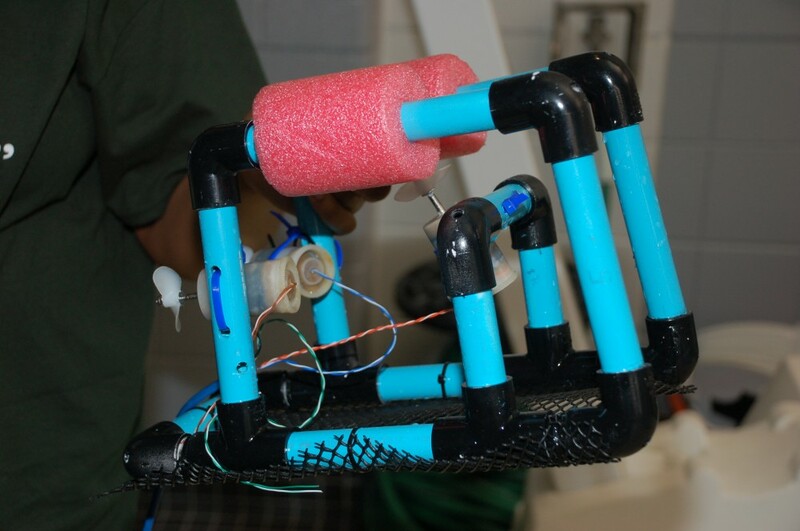 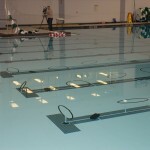 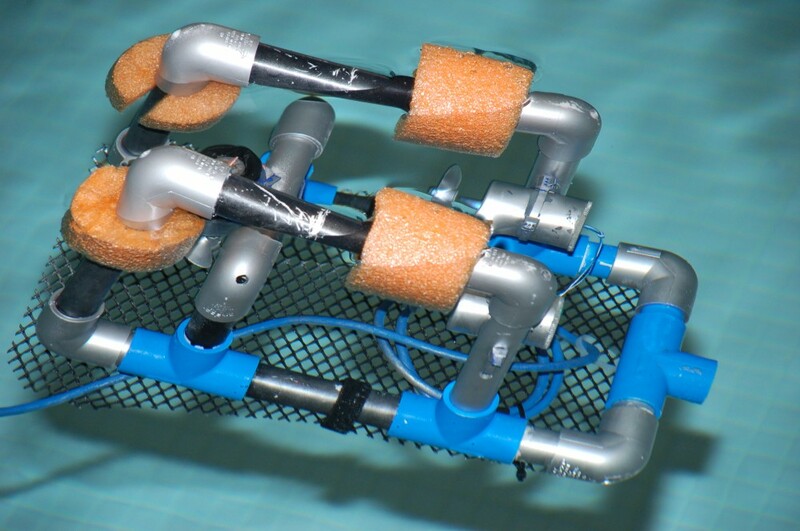 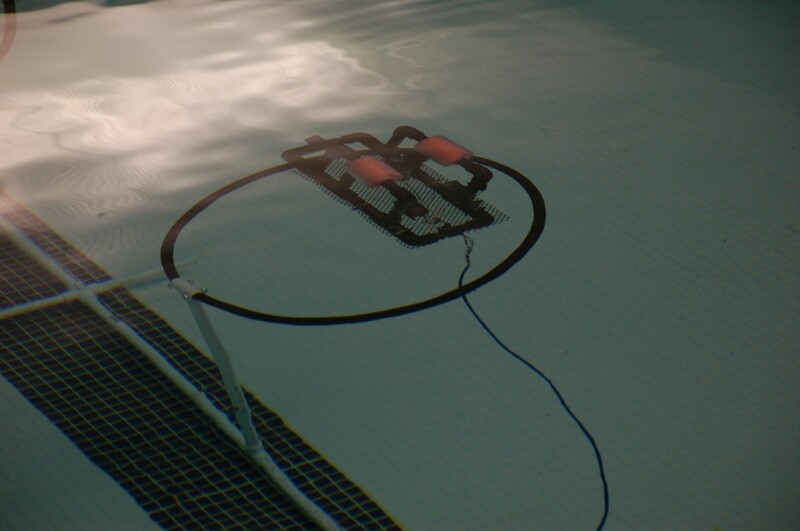 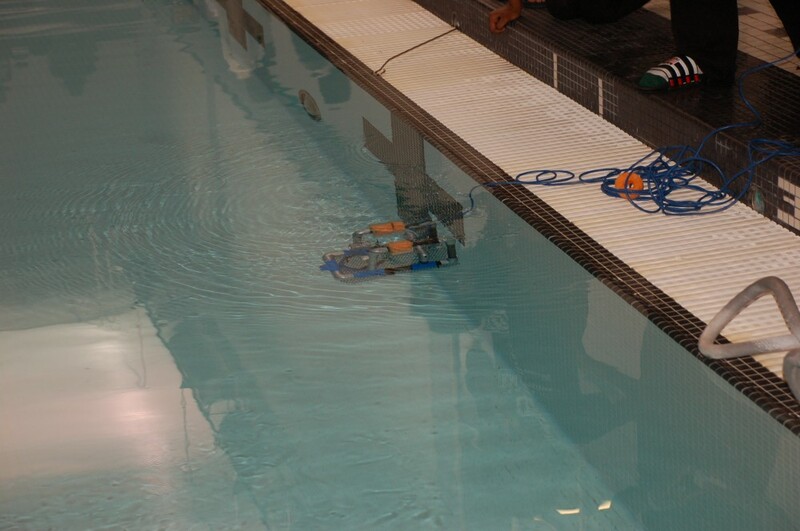 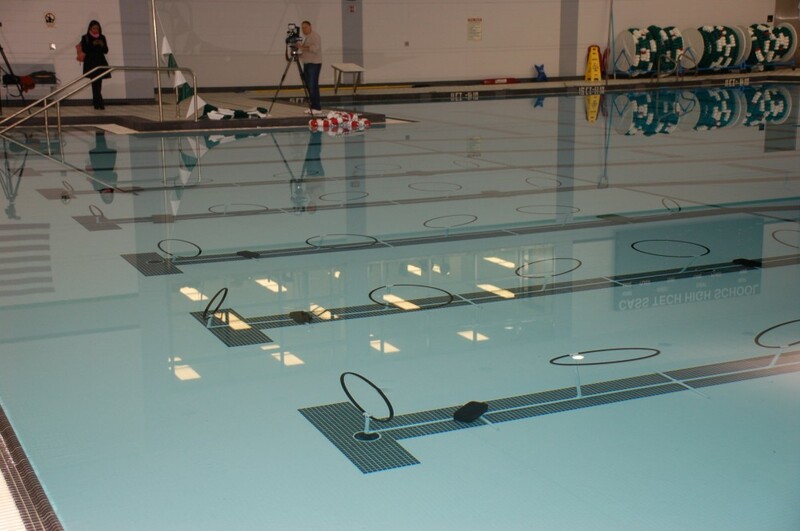 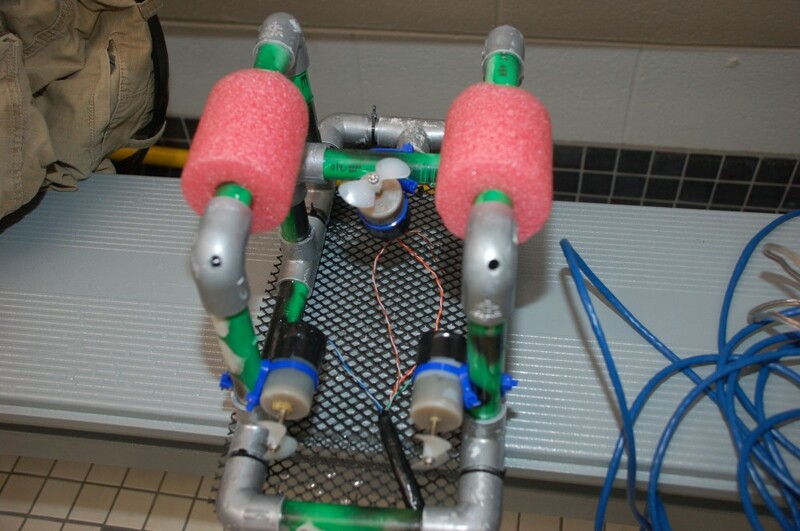 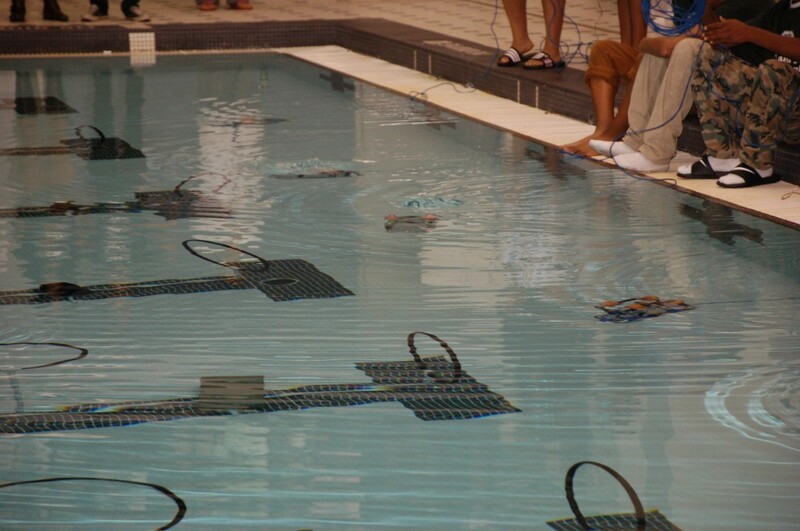 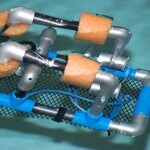 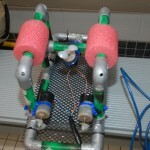 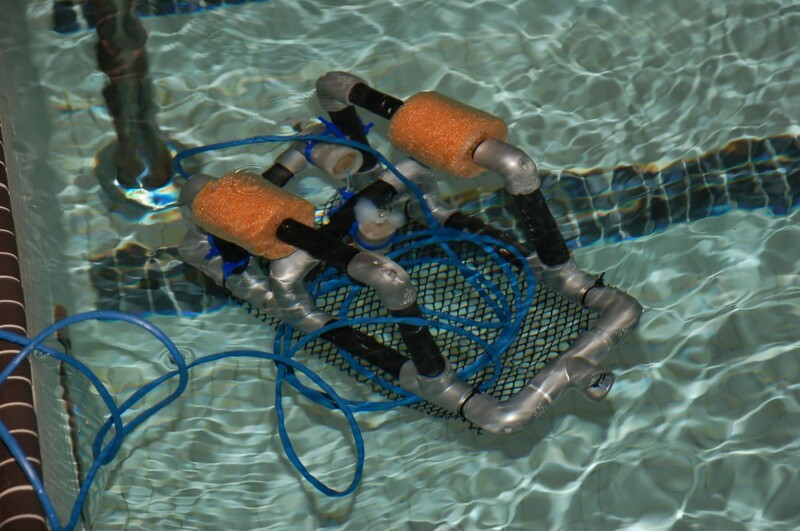 The event culminated in an underwater obstacle course designed to challenge the ROVs the talented youth have been constructing over the past several months. 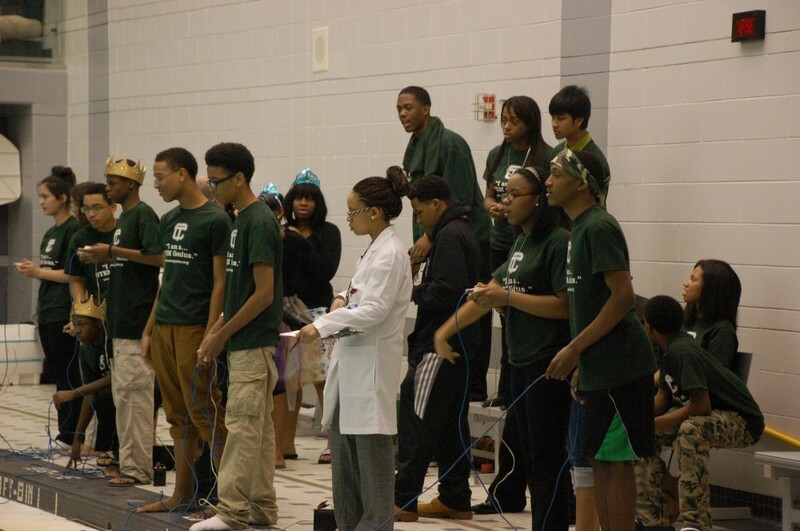 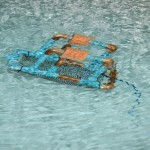 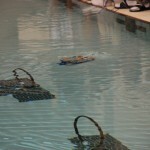 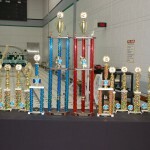 The winning teams from the tournament will advance to the 2013 SeaPerch Challenge in Indianapolis, Indiana in May. 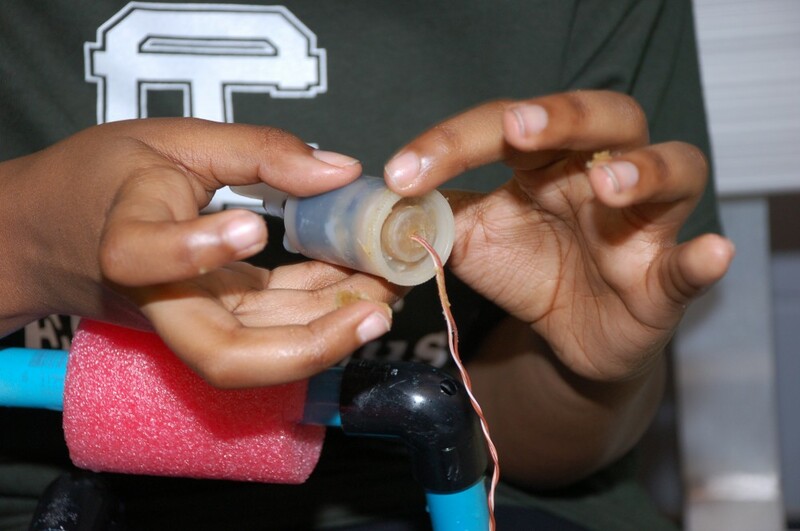 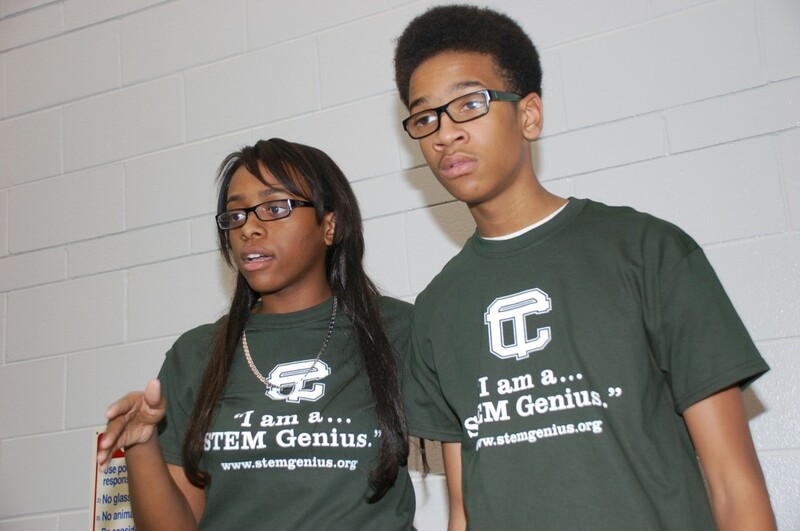 STEM GENIUS is committed to inspiring children in grades ranging from Kindergarten through 12th in Science, Technology, Engineering, and Mathematics (STEM) through creative and exciting hands-on Project Based Learning educational programs using Green Technology. 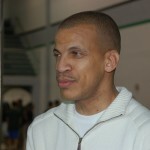 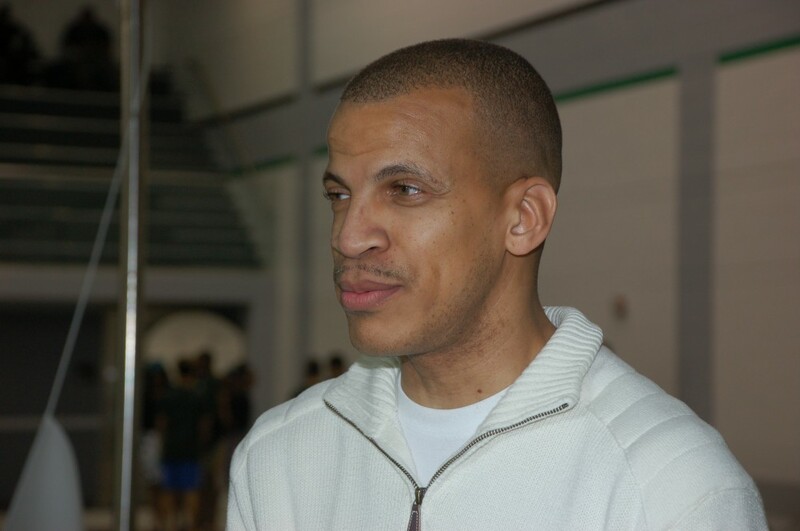 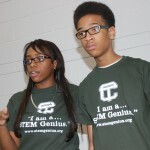 Yul Allen, STEM Genius Founder, is a Murray Wright High School alumnus. 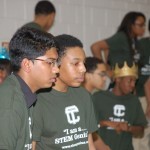 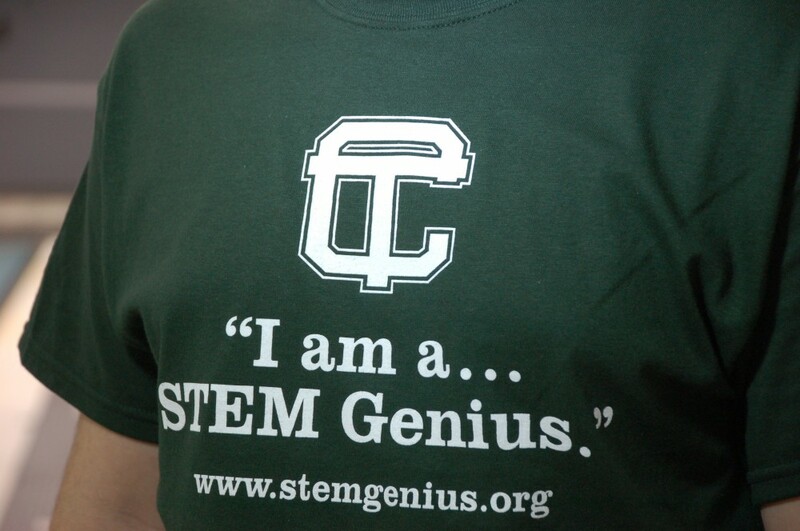 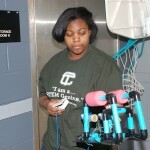 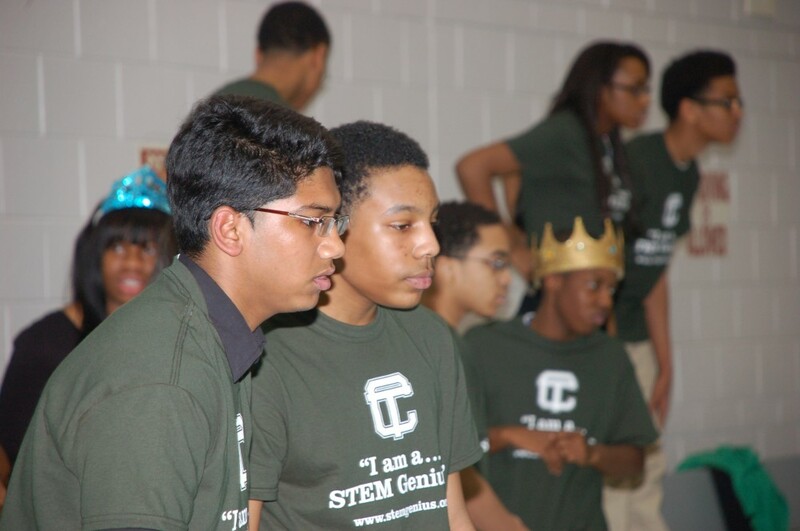 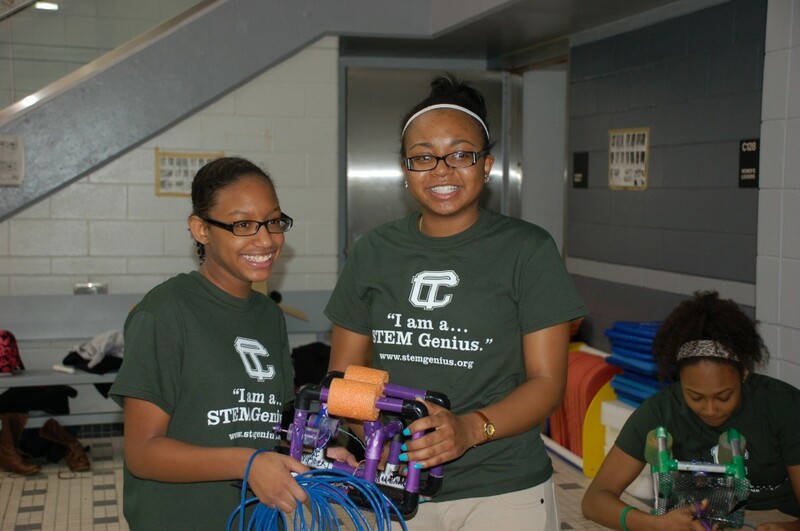 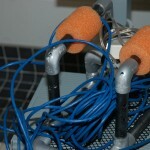 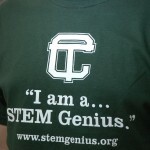 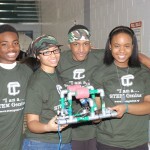 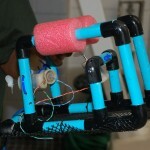 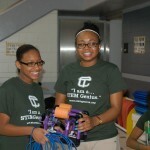 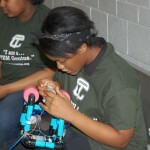 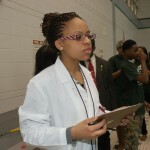 For more information on how to motivate and develop our youth for careers in the STEM fields, visit www.stemgenius.org. 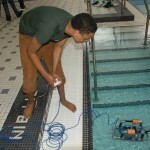 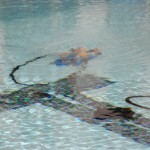 This entry was posted in News and Press Releases, Student Showcase and tagged 510, Featured.